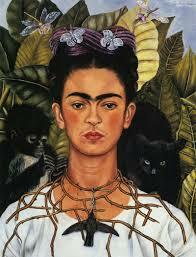 Here is Frida Flores, cousin to Frida Maya and inspired by Frida Kahlo’s self-portraits. The first is her Self-Portrait with Hummingbird (1940) where Frida painted a small, black hummingbird with its wings outstretched hanging like a pendant from her neck. 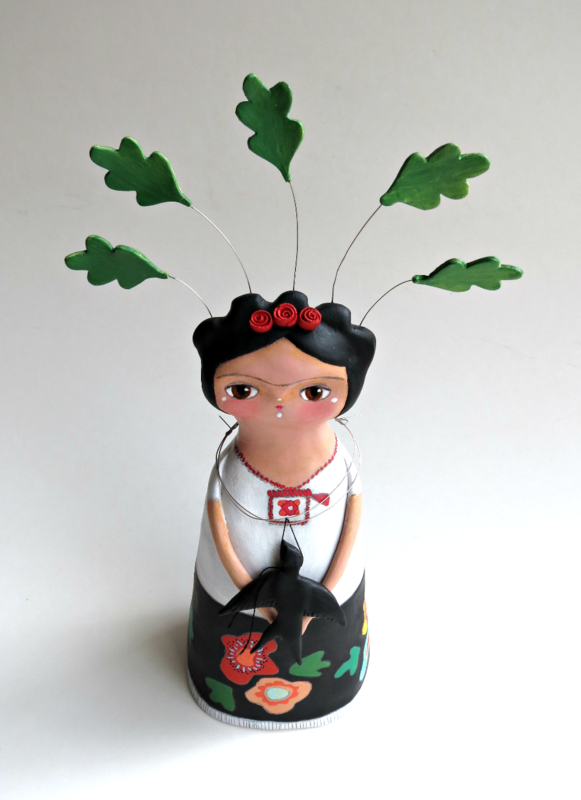 Now one interpretation of this is that Frida added the hummingbird to represent her tumultuous 10-year marriage with Diego Rivera, the hummingbird being a symbol of Huitzilopochtli, the Aztec god of war! 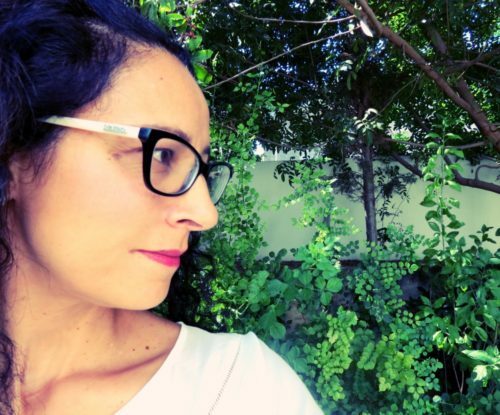 On the other hand, in Mexican folklore it is considered to be a good luck charm for falling in love and that’s the interpretation I embrace! 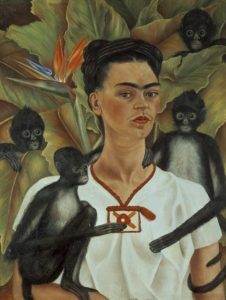 Now, in her painting Self-Portrait with Monkey (1943), Frida portrays herself wearing a white cotton blouse with and a red and orange Mayan symbol for “earthquake” or “movement” (ollin pronounced ALL-in ). 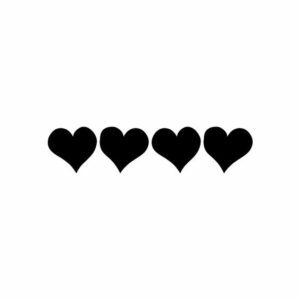 In the ancient Nahuatl or Aztec language, ollin is derived from yollotl meaning heart and yolistli meaning life. Ollin means to move and act now with all your heart and has become a symbol for following your path in life wholeheartedly. The Aztecs believed that everyone had a sacred path that led to their life’s purpose and that it was up to each individual to discover what they needed to do in their life and then give it their all. They believed that if everyone could find their purpose, that which makes their heart beat fast, then the entire society could find its ollin. Can you imagine the world full of inspired, passionate people who have found their life’s purpose and were truly living their lives and not just letting life pass them by? Think of all the positive energy. Having a life’s purpose doesn’t have to be some grandiose proclamation like “I’m going to save the world” although it might be that too. It just means finding that something that makes you…hmmm! You know how every once in a while you do something and the little voice inside says, 'There, that's it, that's why you're here', and you get a warm glow in your heart because you know it's true? Do more of that. Because I’m sure you know. Hello there! 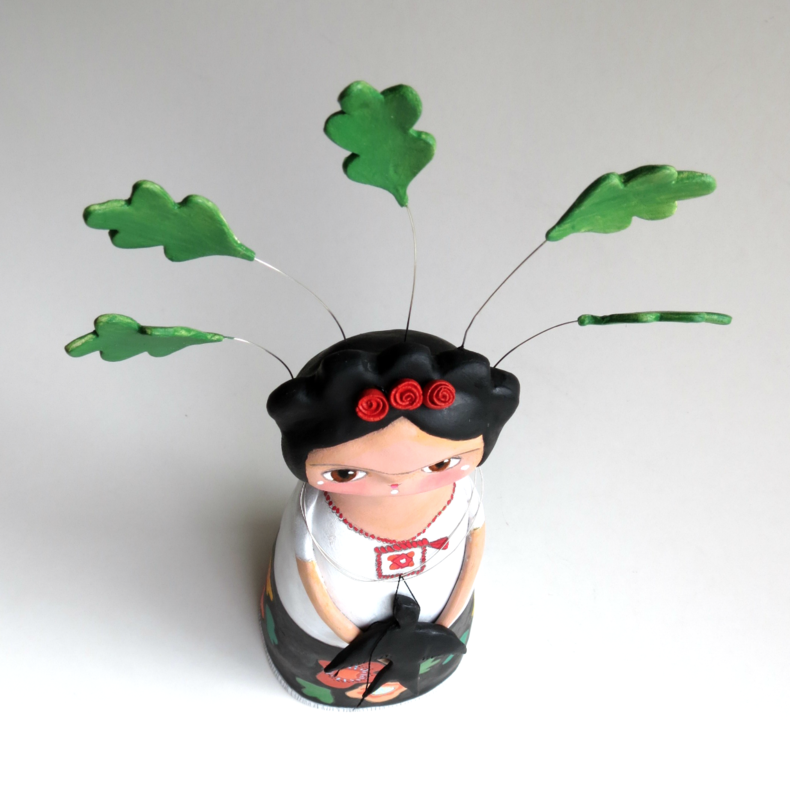 My name is Sophie and I’m a mixed media artist and doll maker! 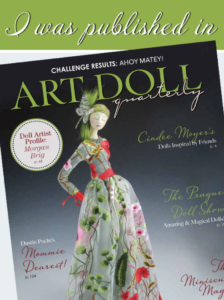 I was published in Stampingfon’s Art Doll Quarterly publication! I was a guest teacher on Life Book 2018! Yes, all you need to do is Sign Up! 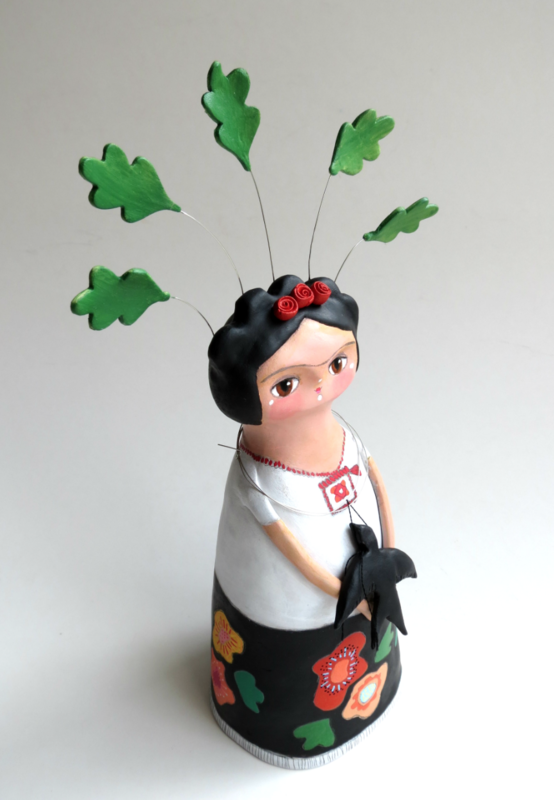 When you do, you’ll receive monthly inspiration in your inbox including previews of art dolls and their adventures AND you will be automatically entered in the SO SOPHIE family member draw, where one lucky subscriber wins a SO SOPHIE mixed media art doll!